GiftedGrape.com is full of wine accessories and unique gifts for a wine lover. GiftedGrape.com features wine aerators, cork cages, wine glasses, corkscrews and wine tools, wine holder plates, wine gift bags, picnic baskets, wine totes, decanters, bottle stoppers, wine bottle holders, wine and cheese accessories, wine coasters, wine themed cocktail napkins, cork kits, sports wine gifts, wine pourers and preservers and so much more. 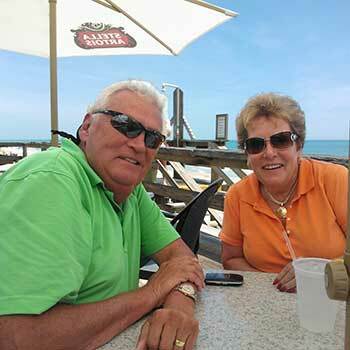 GiftedGrape.com is the brainchild of Tom Naerebout and Cathie Chandler who sold their educational software business in 2008 after 26 years. Tom and Cathie are a husband and wife team of entrepreneurial wine lovers! If you have any suggestions for unique wine accessories that we should carry, please let us know.